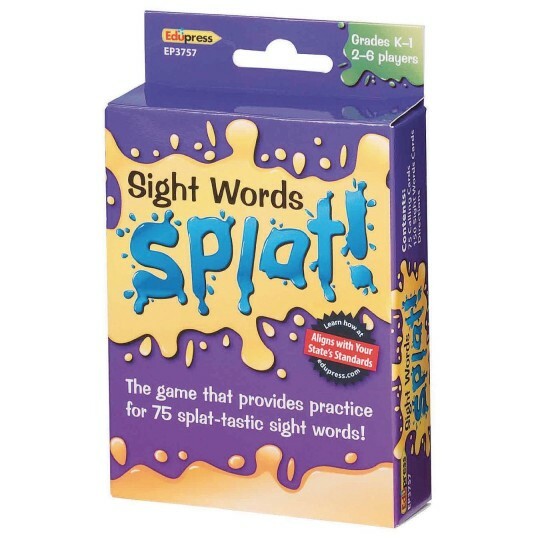 Fast-paced games for splat-tastic sight words! I brought these for my 3 and 5 year old and they love it. The 3 year old can match the words even though she has no clue what they say and the 5 year old really is learning her sight words and it shows in the classroom. They don't realize they are learning as they play. Great game! !